After an over-abundant number of days of absolutely perfect weather, which I call San Diego Days, beautiful blue skies, no humidity, balmy breezes, temps in the upper 70's/low 80's which we decidedly deserved after the winter we endured, summertime has returned to Chicagoland....heat and humidity. Now I am not complaining (well maybe just a tad) but when that humidity starts rising, I am forced to turn the AC on, shutting all the windows and doors and it's just like winter again with the house all closed up. Altho unlike winter, I can go outdoors and sit on the backporch, read, nap, listen to the birds singing and splashing in the birdbaths. So no, I'll take a little heat and humidity anyday over last winter. 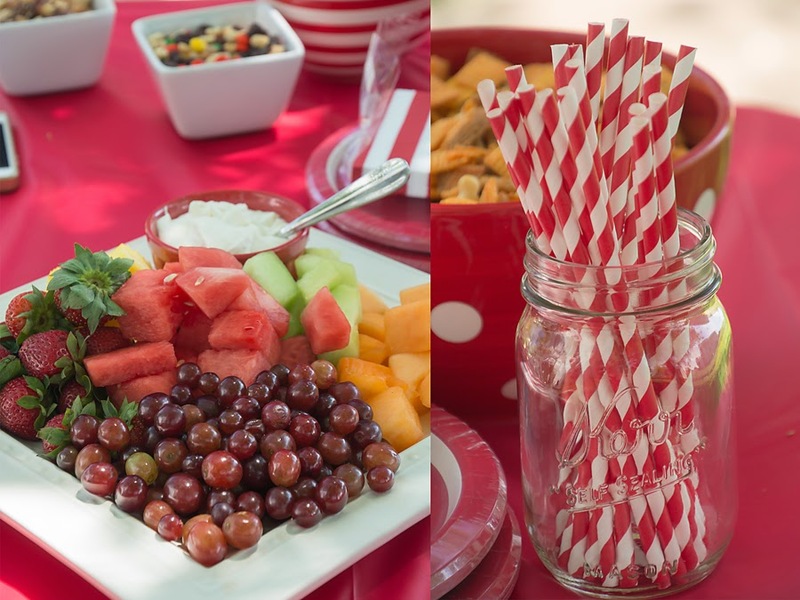 Saturday my daughter held a little surprise "bon voyage" party for my youngest granddaughter, Brie. 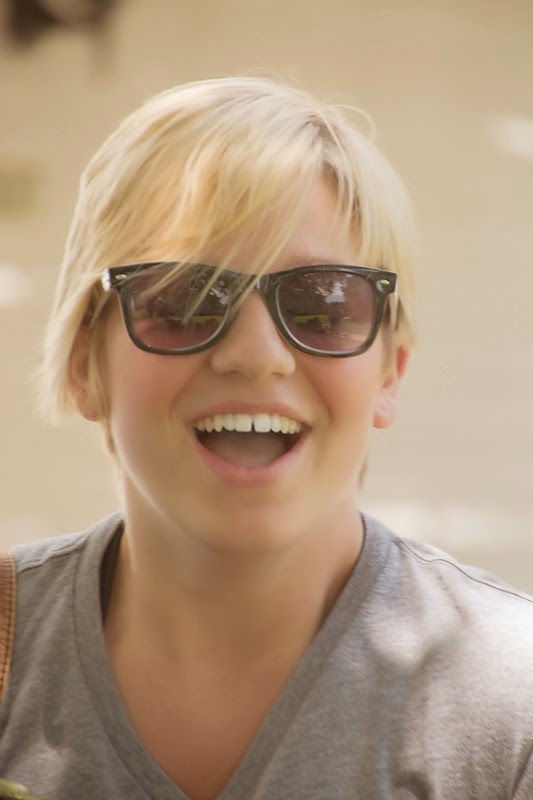 She is off to South Africa, yeah, South Africa....where she will be working at a Cheetah reserve....yikes!!! She is in her senior year in college and this trip is part of her studies to become a large animal handler (aka zoo keeper). Last year she interned at a small zoo, this year it's the Cheetah's. Several of her friends were there along with her cousins. 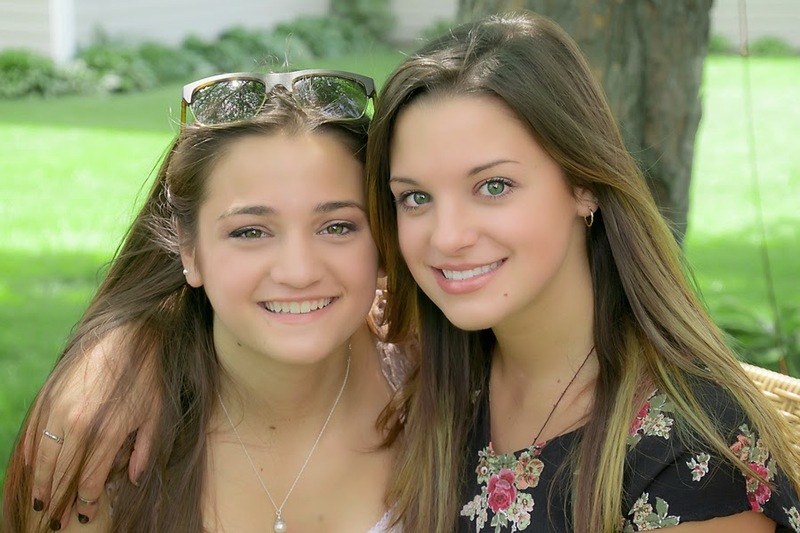 Aren't they cute sisters!!?? 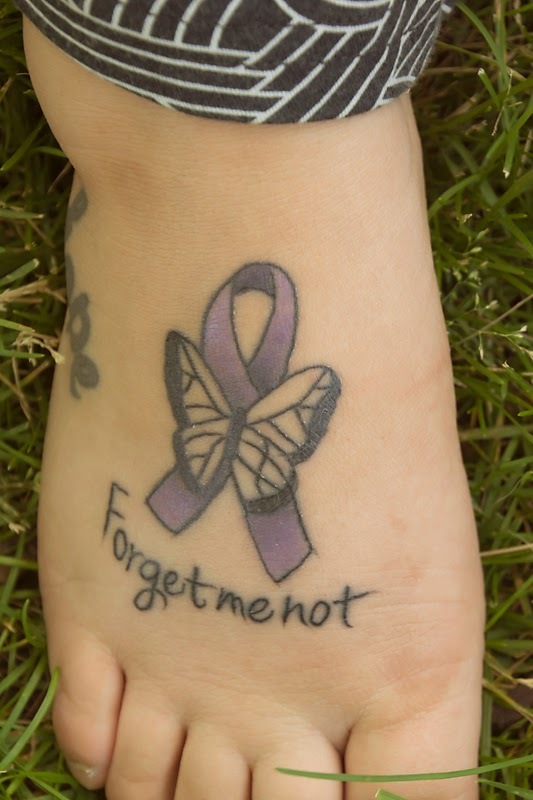 A tattoo representing Alzheimer's in honor of her PopPop, my sweetie. I was really touched by this sweet gesture. Gardens. What a truly unique place to visit. Not only do they have gardens filled with beautiful flowers but they have truly gorgeous spaces to hold special events. There was a wedding scheduled for that evening, so I peeked around (naturally, wouldn't you??) to see the set-up. In fact, my daughter has just scheduled the "great grandbaby" shower at this location in July. 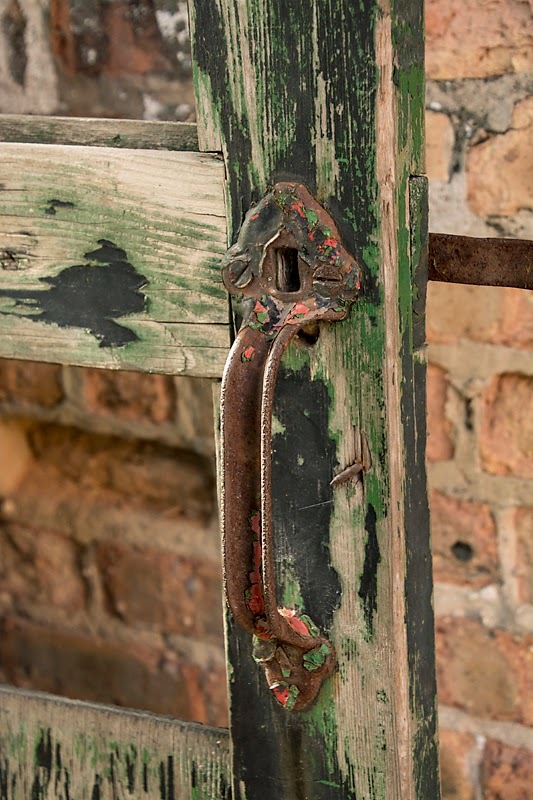 Lots of old brick and rusty doors....perfect!! 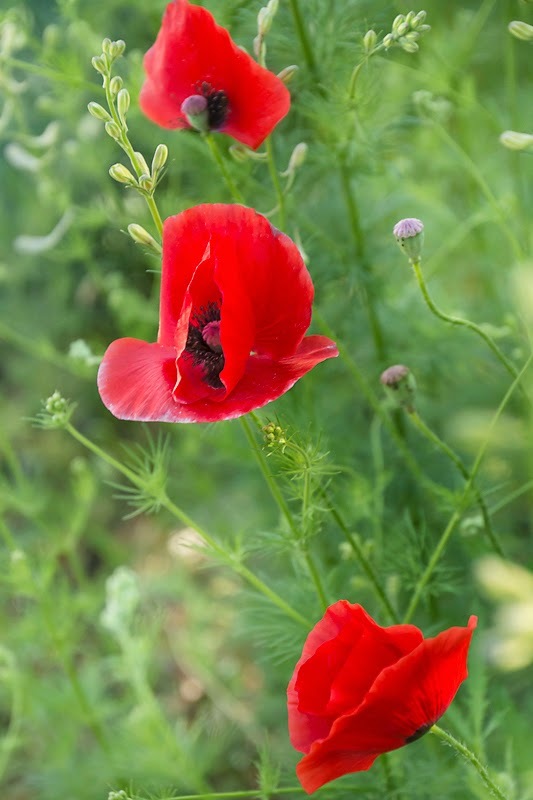 Growing wild....pink poppies and red poppies. And also growing on this same fence is lovely clematis, see this time I didn't call it a peony....I tell you it is definitely the age. And more growing on the trellis in the front. Sure wish these lovelies would stick around longer, but they bloom their little hearts out and then they are gone, only a memory until next year. Like so many happenings and people in our lives, they are here for what seems like such a short while and then they are gone, a lesson to be learned. Enjoy life each and every day, what is here today may not be here tomorrow. oh, good luck to your grand! wow! what an adventure! Yes! Good luck to Brie - what an incredible adventure! 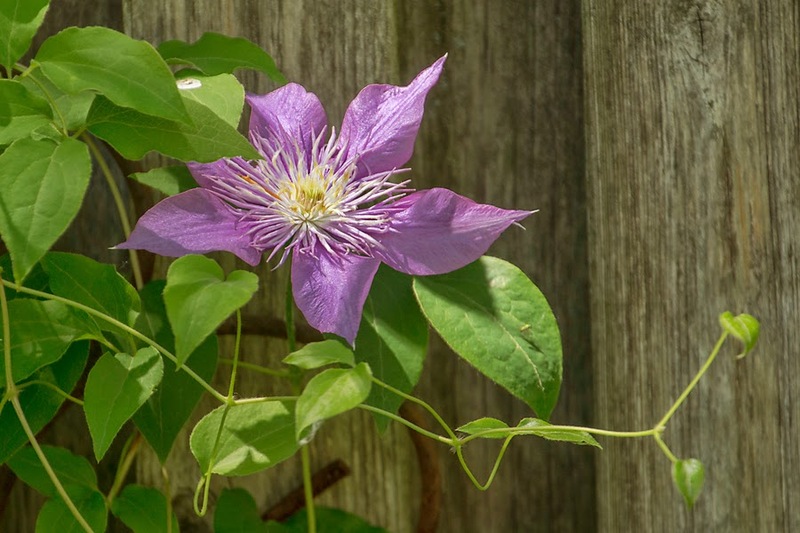 Your images are a joy as usual - honestly I can't pic a fav... but those clematis are pretty special. Best of luck to Brie! And thanks for the pics...have missed them. Oh, what an adventure for Brie! And, oh! The stories she will have to tell you! It looks like things are looking good around your way. I'm with you on clematis: it just doesn't last long enough. Good to see you here! Brie is in for some fun times...you'll be getting lots of photos from her to share with us, I hope. ) What a wonderful adventure for her. I love love love the tattoo on the foot of your other grand...brought tears to my eyes because of the sweetness. Well I'm here ------ in Michigan, waiting to see if the weekend of the 25th (July) works out for you to do a meet up & overnight somewhere……………….SO excited! Brie has a look of, "I can't wait to take off for South Africa!" What an experience for her . . .
Is her grandmother planning a trip there to visit her? Think of the photography fun . . . I gotta say it . . . I LOVE your photos! How exciting that is for Brie to go to Africa. That will be an experience of a lifetime, and that is also quite a sweet tatoo. Did you get your new lens?? i am a bit behind on reading everything of everyones. I just bought a tamron 150/600 which I am going to love. all your shots here are super! What an adventure Brie will have! Love the clematis and the poppies! What a summer Brie will have! Wow!! I enjoy your snippets and what a beautiful family. What an awesome tatoo, too! Beautiful people, flowers, rust and doors. Congratulations to Brie on such an adventure. May she have safe but fulfilling travels. Gorgeous flowers and beautiful girls! I wish your granddaughter the best of luck in her new and exciting adventure! That has to be so exciting to get to go to Africa. What a fun career to go into. Your photos are so beautiful. South Africa - wow! Good for her and how exciting. I am sure you will get some interesting stories from her stay there - an escape for both of you. I hear you on the 'like winter' but not with doors shut and air on, but us being in the mid-90s today (and yesterday, and...) it is what it is. You got some awesome pictures with your new lens - so fun. What an exciting adventure for Brie! Your images of her party are wonderful! So exciting for Brie! Love that she is making a dream happen for her. Of course, all your shots are picture perfect but I am always partial to the ones taken in your yard. Brings back such wonderful memories of being there. Wish I could see that clematis in bloom and Blumen Gardens looks like a wonderful place for a photo shoot! Wow!! What an exciting adventure for Brie, Deanna. And I LOVE the tattoo, and what it represents. What a lovely post Deanna! 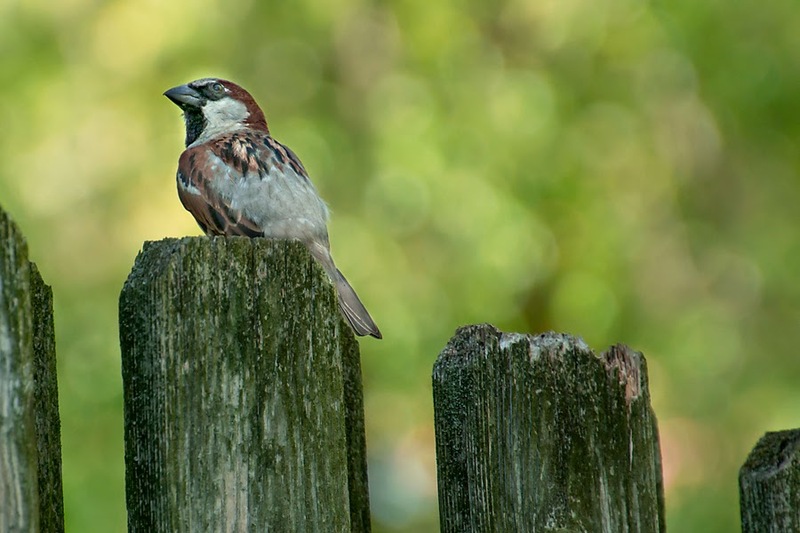 Gorgeous portraits, old rusty door handles (sign), beautiful flowers, a sweet Sparrow (yes, common but still lovely). 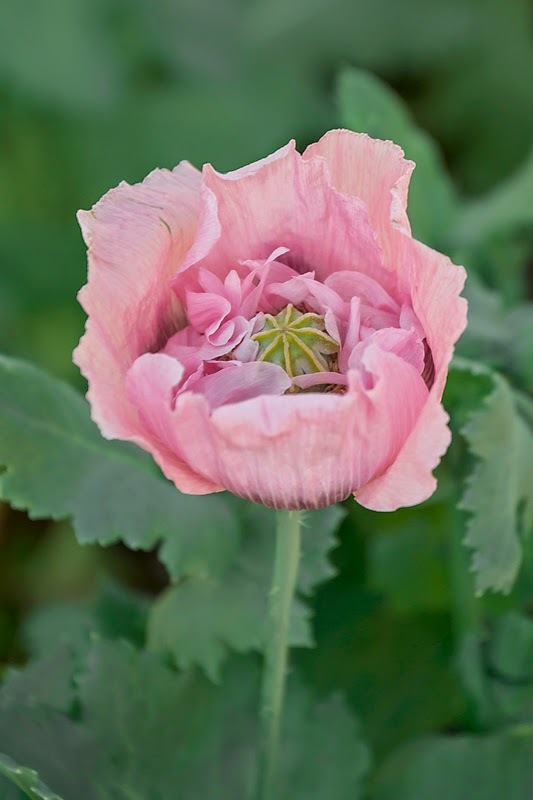 That wild pink Poppy is gorgeous!! Oh how cool that your granddaughter is going to S. Africa. It sounds so exciting and being able to work with Cheetah's, that is just awesome. I would love to do that. Your granddaughters are just lovely young women. The flowers as always here are beautiful. 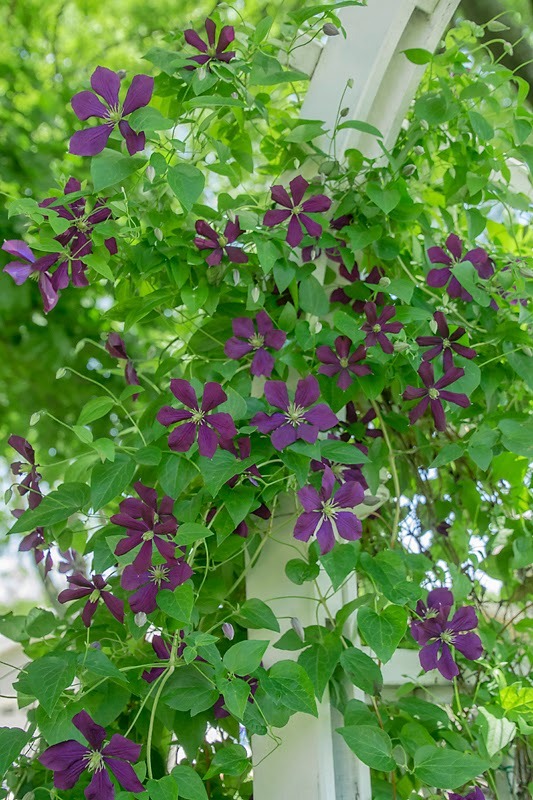 Loved the Clematis, I have a purple one like that one and it's blooming like crazy this summer.